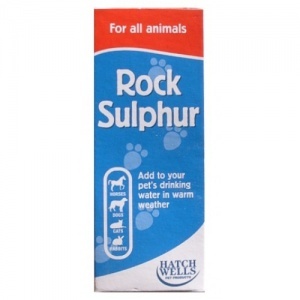 The natural minerals disperse into the dogs drinking water and help to keep the dog cool. Hot weather water additive. Cools the blood.